Mt. Helix Academy is leading the way in ensuring students are receiving the best education possible in the very important world of technology, with a strong curriculum focusing on Coding and Robotics. 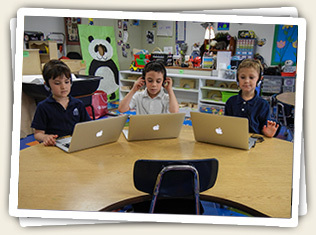 In T/K, students learn to use the computer as they acquire reading skills with the challenging “Headsprout” program. By Kindergarten students begin learning basic coding skills as they are introduced to the interactive robots Dash and Dot. In 1st – 2nd grade, students use the apps Path and Go for Dash and Dot to write code that programs specific movements for the robots. 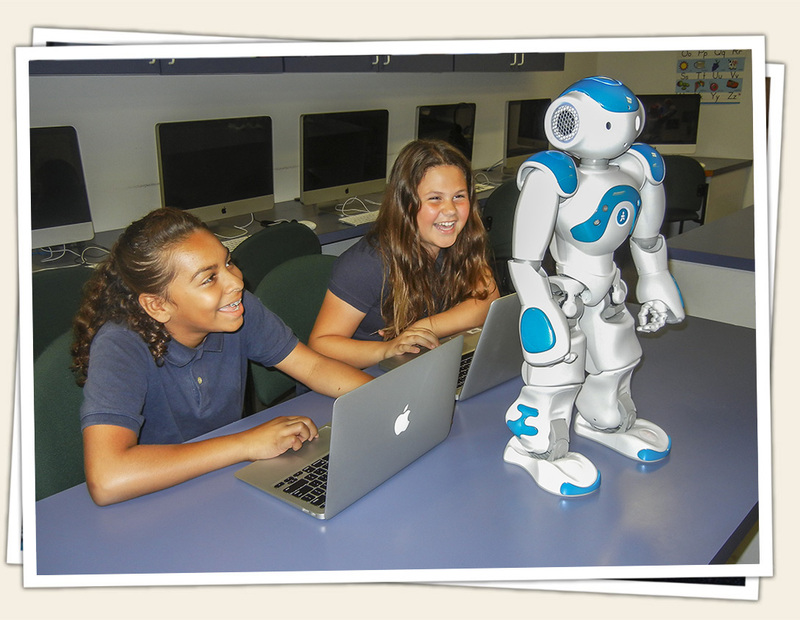 From 3rd grade through junior high, students work with the more advanced Nao humanoid robots, which can be programmed to do things like walk, talk, move to specific spots, dance, recognize faces, and other complex tasks using the Choregraphe software. Junior high students can take Nao robot programming as an elective to learn more nuanced and advanced technical skills in working with code to program the robots. In addition to working with the robots, students practice coding in 1st grade using the website Tynker.com, which teaches sequences, repeated commands, and if/then statements. 2nd – 5th graders practice coding using Code.org which teaches more advanced coding skills including debugging. Junior high students work on Scratch.mit.edu as they explore creative ways to use coding. In addition, all students learn coding as part of the “Hour of Code,” a program that works to “demystify” coding for students worldwide. Mt. Helix Academy is pleased to offer these amazing programs to help our students make the best use of technology and to prepare them for the advanced education world that lies ahead.